Propose to your partner by Valentine's dressed in INDOCHINO and receive your wedding suit for free. In INDOCHINO's new campaign, The Proposal, men who ask their significant other to marry them by next Valentine's dressed in a new INDOCHINO suit will receive a free custom suit to wear on their wedding day. VANCOUVER, BC--(Marketwired - November 21, 2017) - INDOCHINO, the global leader in made to measure apparel, is giving men an extra reason to celebrate popping the question to their partner. In its new campaign, The Proposal, men who ask their significant other to marry them by next Valentine's dressed in a new INDOCHINO suit will receive a free custom suit to wear on their wedding day. Between now and December 31, 2017, buy a suit from INDOCHINO. RIght now, they start at $329 USD thanks to INDOCHINO's Black Friday Event. Propose to your partner by next Valentine's Day in your new INDOCHINO suit. Share a photo or video of the proposal publicly on Facebook or Instagram up until 11:59pm EST on February 14, 2018.Tag @Indochino in your post and use the hashtag #TheProposal. The first 200 verified participants to enter will receive an INDOCHINO premium two-piece suit for their wedding. 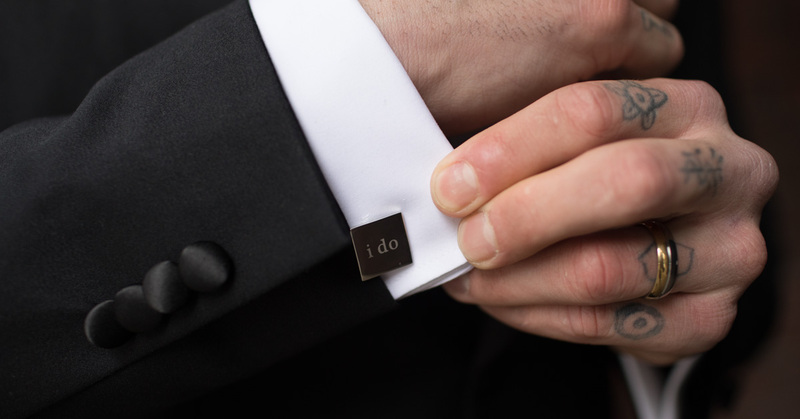 "Every year, we dress thousands of grooms and it is always a huge honor to be a part of this very special moment in a couple's life," said Drew Green, CEO of INDOCHINO. "Now, we want to celebrate the beginning of such a beautiful journey and give these valued customers their wedding suits, ensuring they look their very best on their wedding day." INDOCHINO is redefining how men get dressed by offering fully personalized, perfectly tailored clothing that doesn't cost a fortune. Ideal for weddings, men can customize their outfit to suit any wedding theme, choosing almost every detail from the style of lapel to the color of the lining to the personalized monogramming available inside each suit jacket. They can submit measurements and order online at www.indochino.com or visit any showroom for an in-person experience where an INDOCHINO Style Guide will walk them through every step. For more information and to view the full terms and conditions, visit: join.indochino.com/theproposal. INDOCHINO has updated the traditional tailoring experience for the modern man. Inspired daily by the belief that men don't need to spend a fortune for custom clothing, the brand creates an elevated experience without the high price tag usually associated with made to measure. INDOCHINO is the first online company to disrupt the retail sector by delivering mass customized apparel to its customers and is now the largest dedicated made to measure menswear company. The company's multi-touch customer experience allows men to order their made to measure clothing online, via mobile or in person at INDOCHINO showrooms.